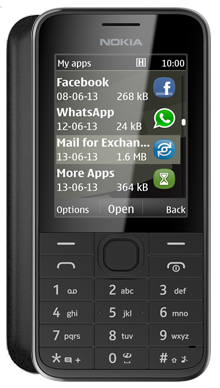 As a mobile phone company, Alcatel has been providing high-quality devices to the public since 2004. While their range has expanded and changed over the years, their core ideals of excellent customer service and devices which have a broad level of functionality remains. Over time, this ethos has served them well, and they have transformed and developed into one of the core providers of mobile devices. Part of the claim to fame of Alcatel is the fact that their devices are well known for being accessible and highly affordable all at once. This has made them firm favourites in the eyes of elderly people, young people who are getting their first mobile device, as well as people who don’t care for the fragility of modern smartphones and instead just want something which will work from one instance to the next, functioning at a consistent level every time. This appeal has shown in the way that Alcatel consistently gets high-quality reviews from its customers, many of whom praise both the device and the company that makes it. With an emphasis on practicality and functionality, as well as an excellent customer service team, Alcatel has proven time and time again that they are committed to creating phones which are suitable for everyone. 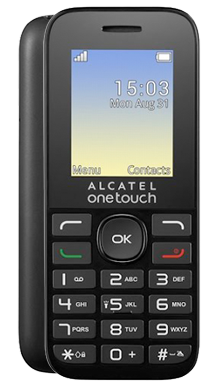 Alcatel often caters to a large group of people who are disillusioned with the idea of an expensive smartphone which is liable to be broken or hacked. For these people, social media is not one of the most critical parts of their lives, and instead, they choose to focus on making sure that the core mechanics of the mobile - texting, calling and even sometimes emailing are elevated to their maximum levels. One of the main advantages of this kind of smartphone is that it can be used by literally everyone. Rather than attempt to compete with cutting-edge devices with regards to things like features, design and top of the range processors, Alcatel has taken a radically different approach. Instead, they’ve opted for a design which is accessible and functional. The phones themselves are designed to be tough and long-lasting and come pre-prepared with a variety of different functions which allow for plentiful options, but not so many that users become overwhelmed or confused. Instead, all you need to do is to switch the phone on, and you’ll be able to get started. At Fonehouse, we aim to provide you with nothing but the very best in regard to deals, choices and options. That is why every offer we have with Alcatel is designed to appeal to as many people as possible as well as give you a good value for money. We know that trying to appeal to many can be a challenge, but we strive to make sure that every pay monthly deal and every offer is carefully considered and tweaked to make it truly the best it can possibly be. As a company, we’re very particular about the people that we partner with and the promises that we make to people. That is why we’ve chosen to partner exclusively with Vodafone and EE because we feel that they share our commitment to providing you with the best possible deals and also the same standards of customer service. With a combined influence which reaches across the entire country, and some of the best possible reviews in terms of deals, customer service and available handsets, we’ve come to the irrefutable conclusion that these are two of the best possible organisations to work alongside, and we’re pleased to have such a successful relationship with them both. Both organisations offer you some of the best possible service possible, between the two there are very few areas in the entirety of the UK which don’t get you a consistent level of service. Plus, they both offer a range of different benefits and rewards in all of their deals and offers. Free texts, calls and internet data are all available to customers, as well as some other incredible extras like BT Sport and Apple Music for you to enjoy. It’s all part of the ongoing commitment from EE and Vodafone to try and provide you with nothing but the very best in service and options. We’re so inspired by their unwavering commitment to customer service - it’s one of the reasons why we’ve chosen to partner with them. We want all of our partners to work at the same high standard that we hold ourselves too - because you as the customers are absolutely worth the time and commitment. However, it isn’t just those two companies which are working hard to make sure you’re getting the most from your experience. We’re equally committed to making sure that you get the very best in deals and offers, which is why we’re providing you with little extras every step of the way. For example, did you know that you can take advantage of the next day delivery for the phone of your choice? That’s right. All you have to do is pick out your ideal Alcatel device with the contract that suits your specific needs and requirements. From there, you can select our next day delivery service, and you can have your phone with you the very next day, and it won’t cost you anything at all. How’s that for a good deal? 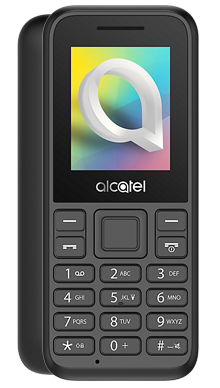 If you have any questions or information about the Alcatel, it’s products or any of our other deals and offers, then please do not hesitate to contact a member of our customer service team for more information. We value your queries and interest, which is why a member of the team would be more than happy to sit down with you and discuss your specific needs and requirements. We’ll have a chat with you, talk about the deals and offers which are available, and then make sure that you’re happy with what’s on offer and help you to find the best deal. To contact us, call us now on 0333 800 1133.